When you think of it, life is funny. Not all the time, but usually there’s a humorous aspect to every situation if you look closely enough. Why should mystery fiction be any different? It’s a reflection of life, a parallel reality where the author can execute any crime, place her characters in mortal danger in scene after scene — and come out alive and victorious. That’s what happens in my kind of book, anyway. Have you read any of Matthew Reilley’s Sigma Force series? Or Clive Cussler’s NUMA series? Or, my favourite mystery thriller author, John Connolly’s Charlie Parker series? In every book these authors write, the teams should die ten times, at least. Okay, once in a while, a member takes a big dirt nap, but mostly they survive, saving the world, maybe with a slight concussion, or in one memorable case, I don’t remember which story, losing a hand and being fitted with a bionic limb that’s much better than the original. Sign me up for that one. I’m digressing wildly, but the point is, the heart stopping action is bearable only because of the humorous banter among the characters between their death-defying capers. These interludes give us a chance to breathe, to fetch a beer or an Ativan before plunging back into battle. And, humour is one way to flesh out the characters, to make us care about them. And, that, as we all know, is integral to retaining a reader’s attention. Each of my fellow Guelph Partners in Crime members, Joanne Guidaccio, Donna Warner, Liz Lindsay, and Alison Bruce (and myself), use humour in our mystery writing. All to a different degree. And, whether they realize it or not, the humour in their writing is a reflection of their own personalities. In their stories, I see a gentle nuance, a self-deprecating joke, dry wit, sarcasm as-a-first-language, and fall off your chair hilarity. You’ll have to come out to one of our author events to figure out which is which. Gloria Ferris is the award-winning author of the Cornwall & Redfern mysteries, featuring serious crimes and not-so-serious characters. She also co-writes a suspense series with Donna Warner. 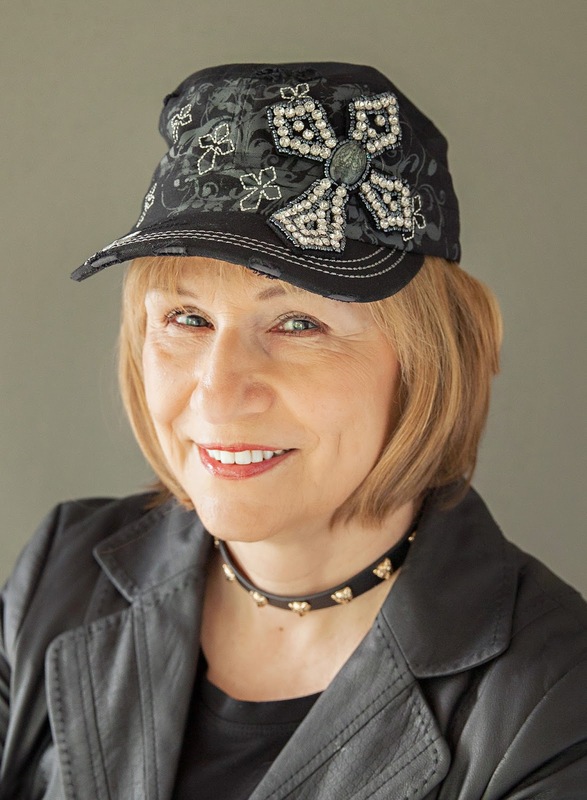 When not writing, Gloria works on character profiles, researches plotlines, reads voraciously, and is often heard to mutter, “I wish I’d written that!” She is a member of the Crime Writers of Canada, and the International Thriller Writers. Do you know us? Have you read our books? Can you match the style of humour to the author? Let us know in the comments! Thanks for the shout out Gloria. I'm a big believer in laughing in the face of danger... or at least giggling under your breath. Excellent post, Gloria! Thanks for this delightful look at humor. Even a smirk will do the trick if you're busy fighting off the bad guys. I'm at the far end of the humour slide, as you know, Gloria. (Rock bottom, some would say - grin.) But I've always thought as humour being essential to the release of tension. We carefully increase tension for our reader, and then when it becomes almost unbearable, we slide in unexpected humour to diffuse it. Or to bomb the crap out of it, in my case. You got it exactly, Melodie. I'm a bomber as well. More fun! I see my evil avatar, Gloworm, has infiltrated the comments. Pay her no mind. She pops in via my desktop computer. Silly Gloworm. I've been wondering about Gloworm. Thanks for the mention Gloria, and I agree with you that you can pretty much always find humour in any situation. In real life and on the written page. Giving our fictional characters a sense of humour indeed helps bring them to life. When a book makes me laugh out loud, as your Cornwall and Redfern books have done, I'm a fan! Thanks, Liz, hope you'll enjoy the next Cornwall & Redfern mystery, Skull Garden, coming soon. It might make you smile once or twice!